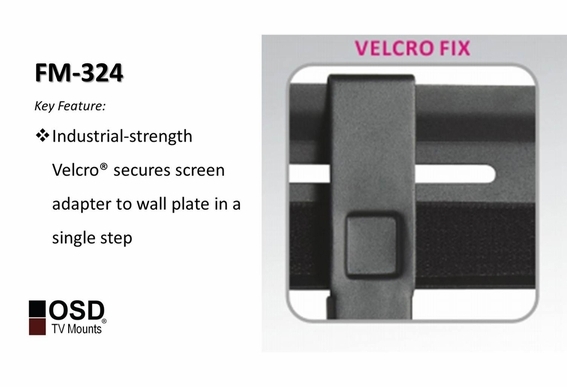 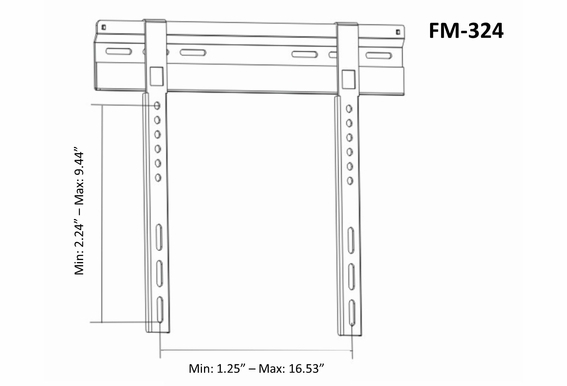 If you’re looking for a simple, effective and inexpensive fixed TV mount, the FM-324 is a great choice. 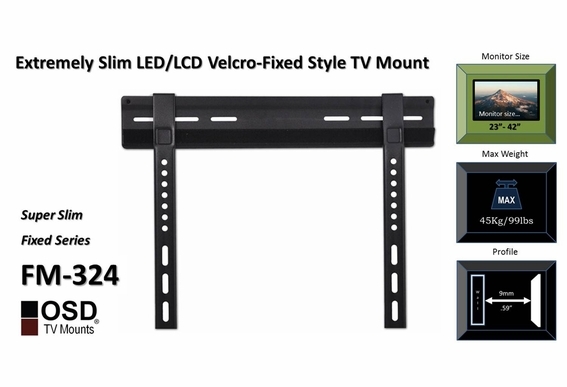 This high definition TV wall mount is perfect for LED TVs and slim LCD televisions ranging from 23” to 42". 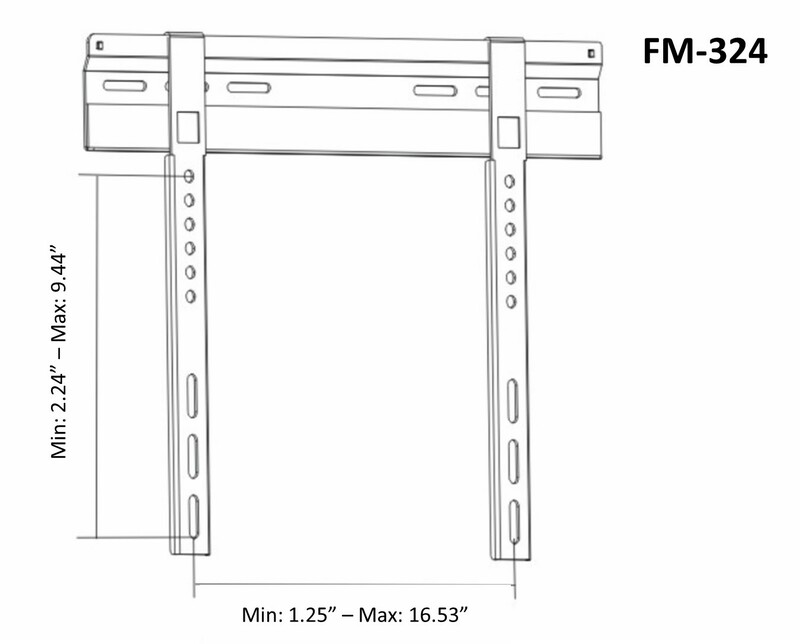 Its super slim profile extends less than a half an inch so you’re flat panel TV will be as flush as it possibly can be, allowing it to blend into your room décor. 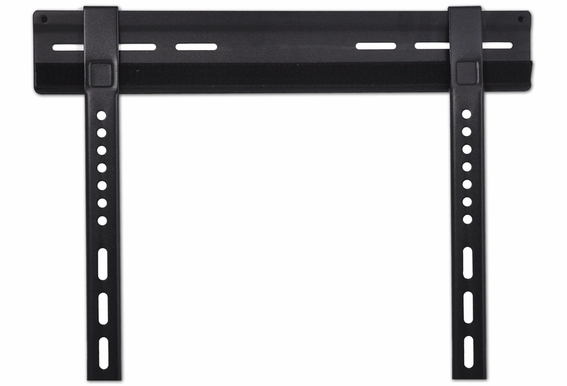 Another great feature of the FM-324 is the ease in which you can switch out the TV, called quick release. 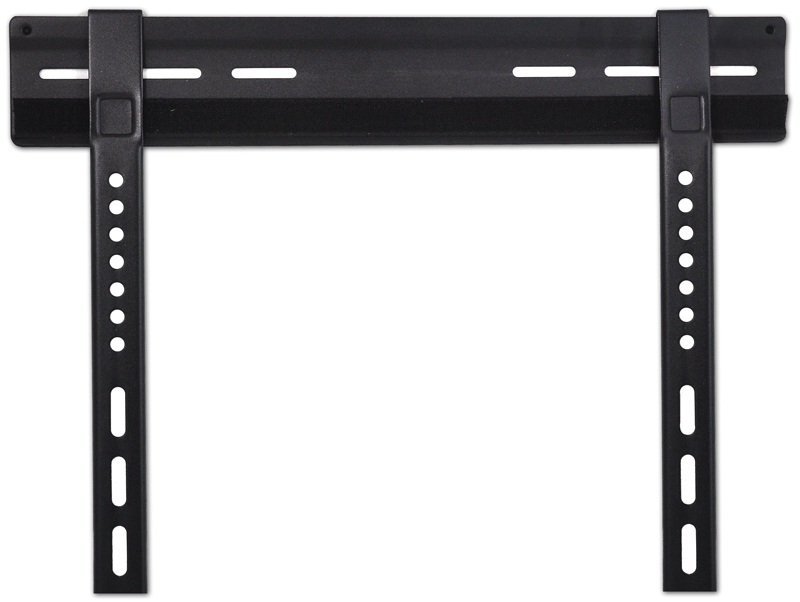 With just some basic tools you can have this mount up in only minutes. 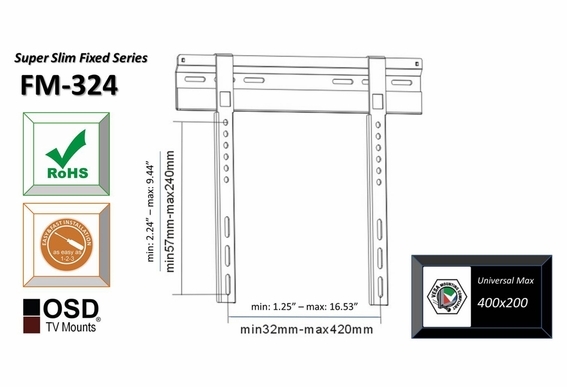 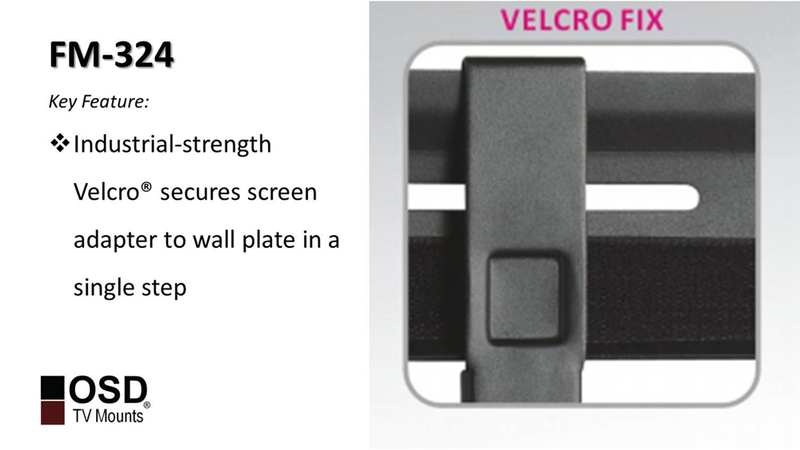 Our TV Mounts are made with high grade quality rugged materials, and all mounting hardware included with the mount. 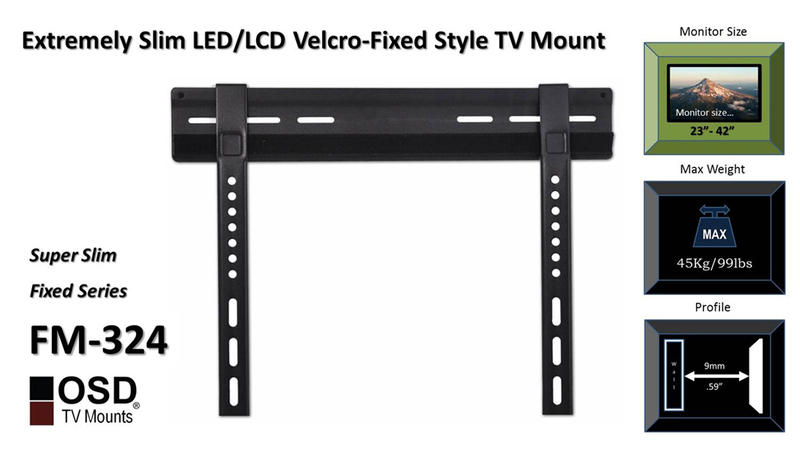 is this mount compatible to any tv? 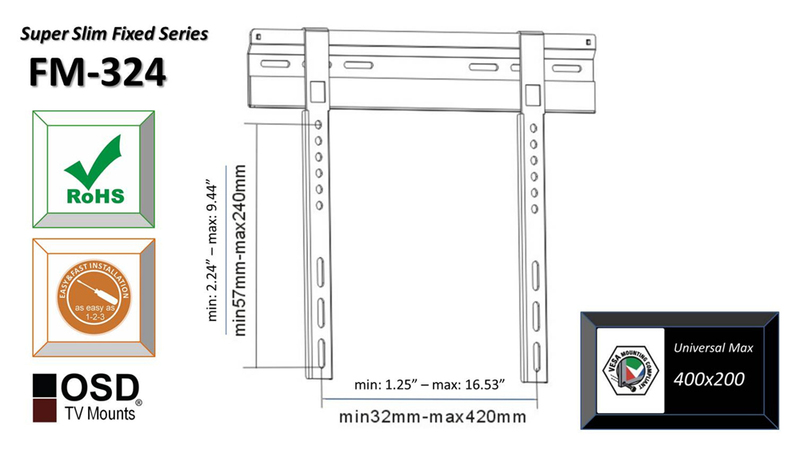 i have a 24 inch toshiba..will it work ?